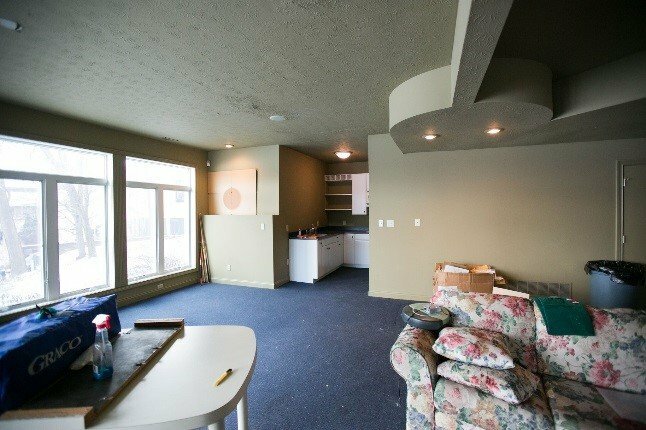 Originally tucked in a tiny little alcove in an otherwise spacious lower level, the basement bar was updated from a meekly kitchenette, into two large bars, ideal for entertaining. In its own separate room, the wine bar is not only beautiful from floor to ceiling, but functional as well. Oversized wine “X”-shaped wine cubbies add interest upon entering the room, while the adjacent floating shelves are perfect for displaying liquor. 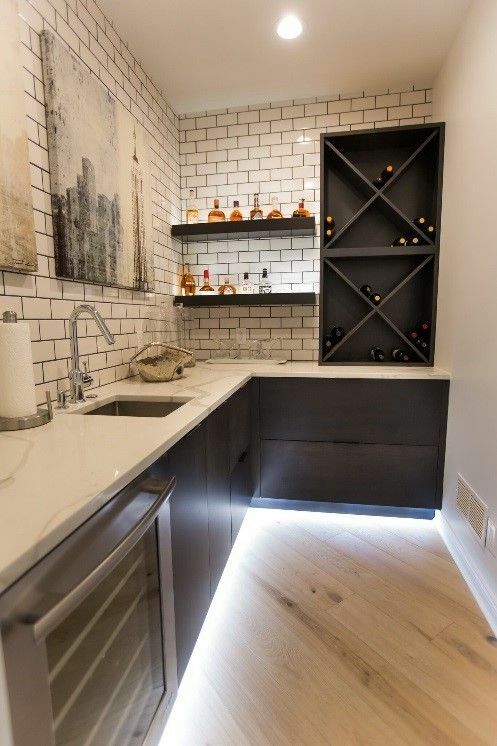 Custom steel floating cabinets with LED lighting give a casual feel to the space. The deep veining in the marble-looking quartz countertops is emphasized through the contrasting gray grout used with the white subway tile backsplash. A sink and under counter beverage center were included in the design making this bar easy for entertaining. 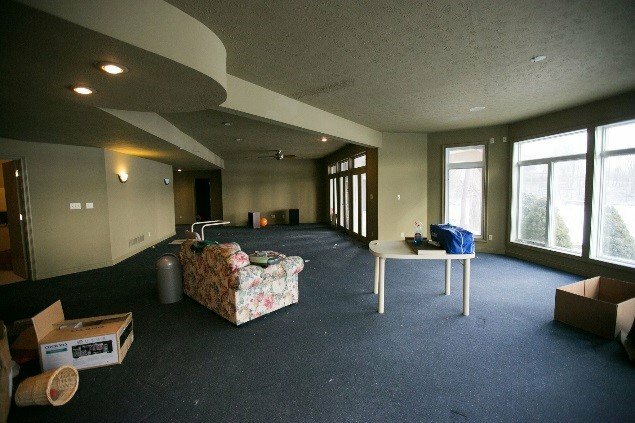 Just outside the wine bar and adjacent to the main entertaining space sits a more public and sociable bar. 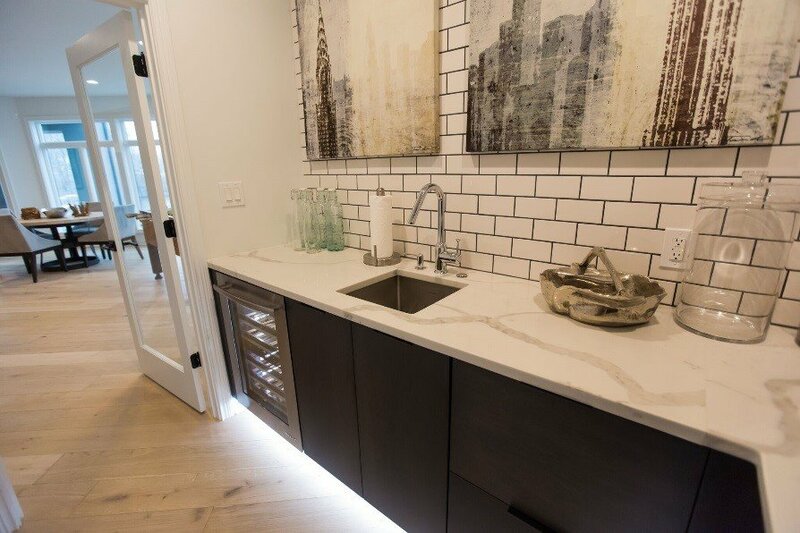 Concrete thermofoil cabinetry create a slightly industrial feel to the room and add texture and dimension to the European-style sleek design. 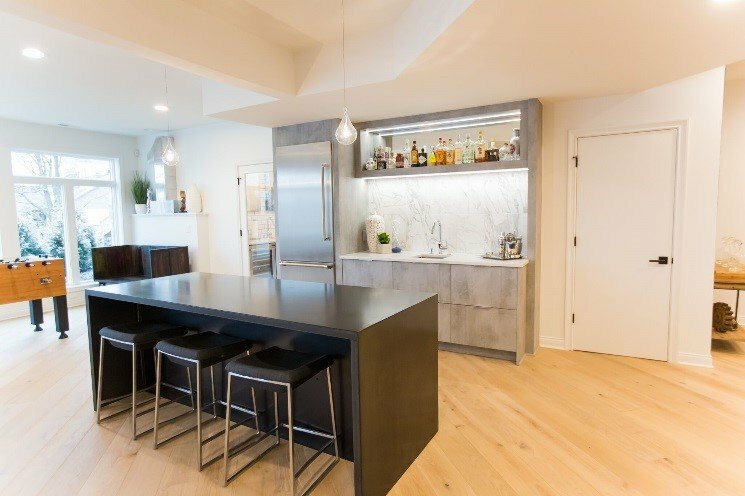 The same marble-looking quartz countertops were installed in this bar as well, but paired with a slightly larger format backsplash tile, also mimicking the look of a marble. A full-size refrigerator, sink, & display cabinet with a mirrored backsplash allow the space to be functional, as well as aesthetically pleasing. A steel countertop height bar island with seating for at least 6 was placed adjacent to the bar enhancing the overall feel of the space. As you can probably imagine, these two bars are perfect when entertaining a large crowd. 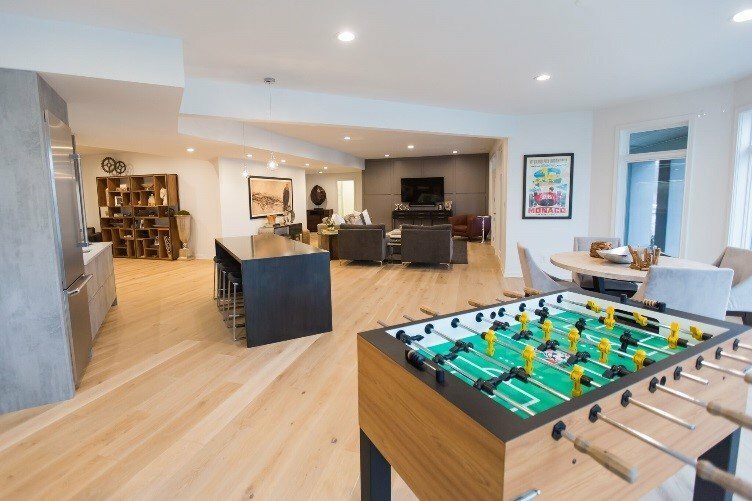 So, you’ve seen just about every room in the house. But how do they all tie together? Stick around for the last of our 5-part blog series to find out.